The Granite State Hacker: Windows Phone... who knew, right? There is something interesting happening with Windows Phone 7... (a story outside Windows 8, Metro & Silverlight 4). There's a chance that the stars could align in an old, somewhat familiar pattern. I'm thinking about the PC market back in the day (for me, that's late 80's early 90's). There were three niches in the personal computer business. The most memorable stars were Apple, IBM, and Commodore. Apple was the early front runner with high-end consumer technology that dazzled with an artsy focus (if you could afford it). To try to coax the lower end of the market, they gave away machines to every school that would take them, making them the defacto for education, too. Commodore (and a few others like them) had a developer and gaming niche... if you were a lower budget programmer/hobbyist/gamer (as I was), you probably had one of these and half-convinced yourself it was better than an Apple machine. The rest of the world wanted a computer, too, but didn't want the price point of the Apples or the technical overhead of the Commodore class of machines. That's where IBM came in, with an affordable machine that wasn't necessarily the flat out best of anything on the market, but the overall value made it accessible to a broad range of people. IBM... PC... who knew, right? History shows that IBM's (or, more appropriately, Microsoft's) strategy won out, with the social forces of the now ubiquitous Windows pc's swallowing the hobbyist market almost whole, eating most of the Apple pie, and sharing the gaming market somewhat grudgingly with consoles. The social force in effect was the desire to make something that worked for the non-technical consumers who weren't so attracted to the high-end market... since consumers found commonality in the accessible/value platform, eventually that platform swallowed up the niches. What hobbyist wants to write software that they can't share with anyone (short of installing Linux on their mom's computer)? What technologist wants to have a separate system for gaming and another for everything else (setting consoles aside)? In a way, the IBM / Microsoft platform became the "lowest common denominator"... but the important emphasis being on the word common. Fast forward to the mobile phone market of about a year ago. My wife picked up a Droid based phone on a deal. She's not exactly unhappy with it. It works, but she doesn't quite trust it after she had some technical issues she wasn't prepared to deal with. Droid based phones seem to appeal to a lot of the guys at work, who don't mind tinkering with the things. The Droid reminds me of the "Commodore" of smart phones. Even more recently, my wife was helping her mother pick out a new phone. Seeing that the iPhone was a popular choice, they looked at it, but it was a huge step up in cost and it seemed overwhelming to my mother-in-law. Given that her old phone was a relatively basic mobile phone, she didn't see the need to spend a ton of money only to buy a phone she felt was more than she needed. My wife, thinking back to my Windows Phone, realized she really likes its clean, simple-looking style and ease of use. Since the price point was way better than the iPhones, too, the Windows Phone won out. After a brief break-in period with her new Windows Phone, my mother in law fell in love with it. She doesn't have to struggle to figure her phone out, anymore. She just uses it. She takes advantage of features she never thought she'd use, because the features are arranged so nicely that they work together. Interestingly, this opens up technology for me, too, because now I can share the product of my technical interests with her. She was one of the first beta testers of Jimmy Sudoku, my hobby project. 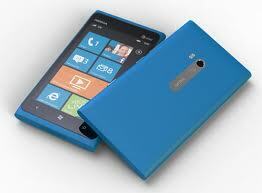 I've come to see that Windows Phone is the IBM PC of the modern mobile phone market. It's poised to become the common denominator of mobile phones. It's less expensive , easy to use, less overwhelming / more accessible to more people, even to those without a technical degree. (Check out that new Nokia Lumia 900?) Still, for us geeks, it's got readily available (free) development tools using fun and marketable skills and a reasonably open app marketplace. Perhaps Microsoft should review IBM's old PC marketing strategy before they overlook the opportunity they seem to have set themselves up for. 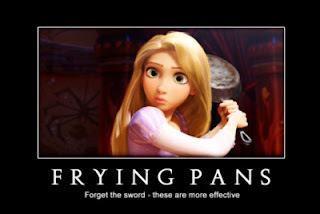 Like the frying pan in the Disney movie "Tangled"... Practical, available, affordable, easy to use, and good for more than the obvious stuff... who knew, right? Following my comment I will add that the nokia lumia smartphone is so much better than the android wildfire phone by far. Agreed! I wrote this post awhile ago... since then, my wife & I got a pair of Lumia 920's, and *my* mother now has an HTC 8x. (yet another beta tester for my apps! muahahahaha) :) They've been great for all of us, but I'm a bit biased toward my 920. And there's only one app I'd recommend to any Android user: Come to the dark side! Hi,really nice post.I would like to share little bit.The Nokia Lumia 900's display may not pack the same number of pixels as some equivalent high-end smartphones, yet its 4.3-inch AMOLED screen (800x480) appears to be identical. A Nokia innovation called "Clearblack" helps make up for the way that the display isn't as high resolution as it could be, by diminishing glare in splendid situations, offering rich whites and lighter colors and devouring less influence the whole time.